Which bread maker should you buy? Which is the best? There are many bread makers on the market, but you have to choose which one is the best for you. The best bread maker to buy according to is a bread maker that will give you the most value for your money. It should have the required features of a high-end bread maker but the price should be reasonable. It should also be a bread maker with a brand name so that we can be assured of its quality. Keeping the above criteria in mind, we zoned in on the Breville BBM800XL is the best bread maker to buy in terms of value for money. It is classy, has amazing features, and comes at a reasonable price. The Breville BBM800XL Bread Maker! If you are looking for a review on the best budget bread maker, click here. If you are looking for a review on the best high-end bread maker, click here. The Breville BBM800XL is a very intelligent bread maker which has all the latest features and technology that are available in the market. Using its timer, you can wake up to the freshest bread that is available. You get a recipe book which gives you over 60 various recipes that you can choose from. The look of the Breville BBM800XL is very classy and it is very stylish. 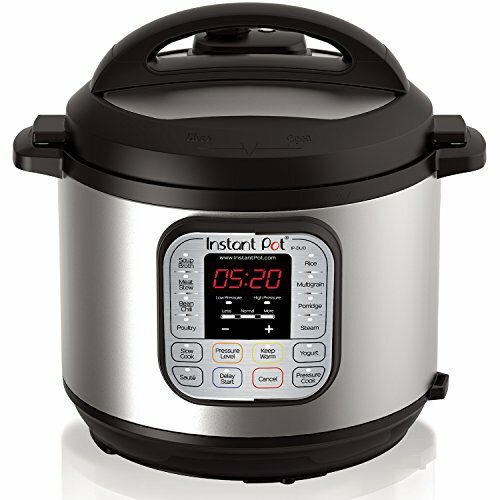 It has an interface that is intelligent and computes the temperature and the time it will take for baking and you just have to turn a dial to choose any recipe you decide on. You can create recipes of your own choice and you can set the time so that you will have the bread ready at the time of your choice i.e. you just have to feed in the time the bread should be ready rather than feeding in the time to start the baking which you need to do for other bread machines. You can also set the timer for adding fruits and nuts to your bread and the fruits and nuts will automatically be added during the required phase. High-quality product: The Breville BBM800XL is a very high-quality product and will last for many years. Intelligent features: The best thing about the Breville BBM800XL is that it has intelligent features. It has an LCD screen which has a progress indicator. You can set the timer for the time you want the bread rather than the time you want to start the baking. A wide range of baking: You are literally spoiled for choice when it comes to the options that you get with the Breville BBM800XL. You get 13 automatic settings to bake various recipes, you get three crust color options of light, medium and dark and you get four loaf sizes of 1 pound, 1.5 pound, 2 pounds and 2.5 pounds. Fruit/Nut dispenser: The bread machine comes with a fruit and nut dispenser which adds the fruits or nuts to the dough exactly when required so that it is not too early that the fruit gets squashed and not too late so that it is not properly integrated into the dough. Since it has an automatic fruit/nut dispenser, you don’t need to waste your time to check and add the fruits/nuts when the beep sounds like you have to do in other bread makers. Great for large and small families: Since you can bake the bread in various sizes, the machine is perfect for families which are small (1 pound bread) and large (2.5 pound bread). Even if you have friends over, you can be worry-free as the bread maker has an immense capacity. Collapsible kneading paddle: This is a unique feature that I have seen in the Breville BBM800XL. Most bread makers after mixing have the paddle in place. This leaves a small hole in the bread where the paddle is. The BBM800XL has a kneading paddle which is collapsible. Once the ingredients are mixed thoroughly, it collapses before the baking starts. This reduces the hold at the bottom of the bread loaf. Variety of recipes: There are 46 recipes that give you step-by-step instruction on how to make the different types of bread. It also comes with custom recipe charts. You get recipes for basic bread, gluten-free bread, whole wheat bread, sweet bread, crusty loaf, dough, yeast-free bread, jam, etc. 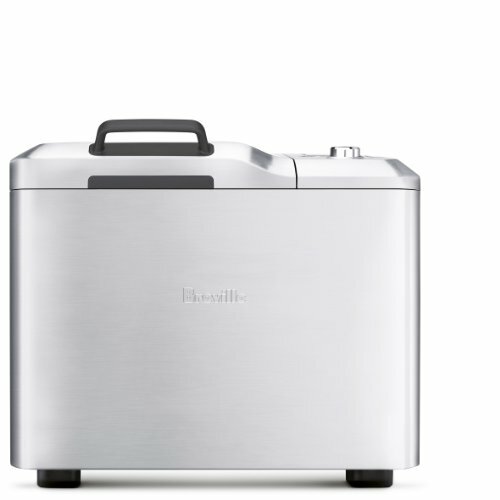 Delicate body: The body of the Breville BBM800XL is a bit thin and is made of brushed steel. This could cause dents in the body if you move it frequently and if you may accidentally hit it against something. It won’t affect the quality of the bread even if it is dented as the bread is made within the tin, but it may affect the look. Noise: The Breville BBM800XL is quite loud when it is kneading the ingredients. The pan is not locked into place so when it is kneading it starts emitting sounds. Since there is only one paddle, the dough is slammed around which makes noise. You should try it first in the day before you decide to pre-set it to run at night so that your sleep won’t be disturbed. The Breville BBM800XL is an excellent bread maker when it comes to the question of which is the best bread maker to buy. You get an excellent, high-quality bread maker with impressive features at a reasonable price. 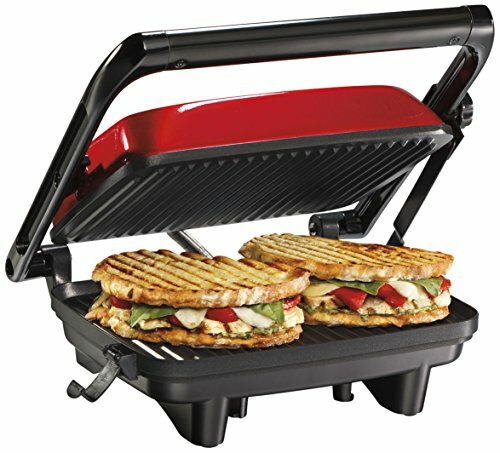 It looks very classy and a lot of effort has been taken by the Breville Company on its design. 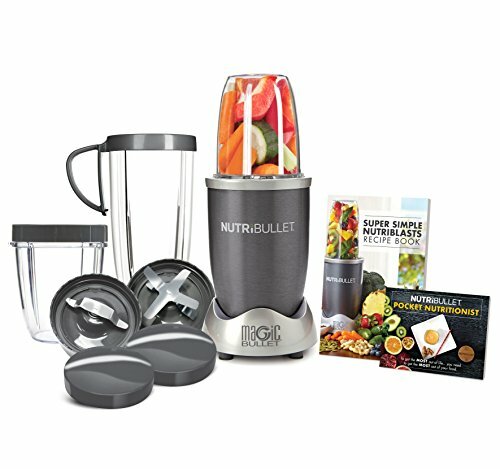 You get to choose from 45 easy-to-make recipes where you just need to add the ingredients and switch on the dial to the required recipe setting. It gives you a tremendous number of options when it comes to automatic settings (13 settings), crust color (3 colors) and loaf size. The options for the loaf size is the best feature of this bread maker as you can make a smaller sized bread if you have a smaller family or you can bake a larger sized bread if you have a big family or have friends coming over.